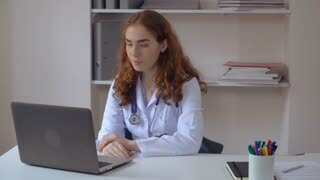 Search Results for "doctor talk to patient"
Doctor is talking on blurred background. 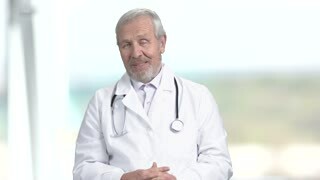 Senior doctor wearing white coat and stethoscope. Medical doctor talking to patient. 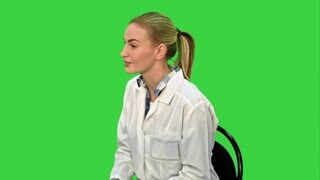 Doctor and patient talking. Male stomatologist in glasses. Consult a professional. 1970s: Man at chalk board talks and points. Students smile and listen. Hands prepare microscope slide. Man and woman use microscope. Doctors talk to patient. Doctor uses stethoscope on patient. 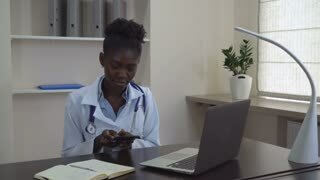 Young girl doctor talking with patient, and records his history. 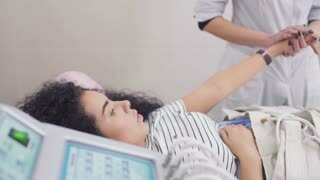 Doctor prescribes the treatment of a young pregnant woman. 1950s: Feat walk up stairs into door of building. Hands cut steak on plate. Doctors take man's blood pressure and nod. Doctors talk to patient. 1980s: Doctor talks to patient. People sit in half circle in room, talk.